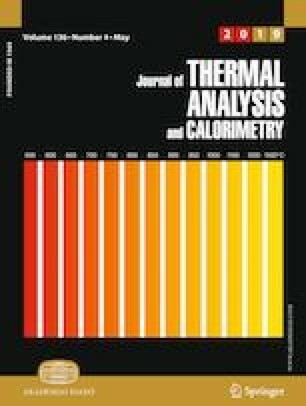 Leakage issue and low thermal conductivity largely restrict feasibility of fatty acid in real application of thermal energy storage (TES). In this paper, a novel form-stable phase change material (FSPCM) capric acid/diatomite (CA/DT) for TES was prepared using direct impregnation method by using CA as PCM and diatomite as supporting material. The fabricated composites were investigated in detail via the leakage test to determine the optimization proportion, and the real mechanism of preventing leakage by diatomite was analyzed. The characterization techniques such as thermogravimetric analysis, differential scanning calorimetry, intelligent paperless recorder technology, Fourier transform infrared spectrometer and scanning electron microscopy were applied to systematically investigate the thermal properties, microstructure and thermal compatibility of the prepared composites. The results showed that the maximum mass ratio of CA adsorbed into DT without leakage is as high as 50 mass%, which is mainly ascribed to the porous structure of DT. The selected FSPCM has a melting point of 34.9 °C and latent heat of 89.2 J g−1. What is more, the CA/DT FSPCM exhibits a distinctly enhanced thermal stability by TG analyses. The heat transfer efficiency of the CA/DT FSPCM is higher than that of pristine CA. Due to the high adsorption capacity, high latent heat, good thermal stability as well as low cost, the CA/DT FSPCM can be considered as potential materials for thermal energy storage. This work is supported by the National Natural Science Foundation of China (41872039 and 41831285), Hebei Key Technology R&D Program of the Agency of Hebei Province (17214016), the Open Project of State Key Laboratory Cultivation Base for Nonmetal Composites and Functional Materials (17kffk13), the One-Thousand-Talents Scheme in Sichuan Province, Sichuan Science and Technology Program (2018JY0462), Hebei outstanding young scholars, Longshan Fund of Southwest University of Science and Technology (17QR004), the Opening Project of Material Corrosion and Protection Key Laboratory of Sichuan Province (2018CL20) and PhD Research Startup Foundation of Hebei GEO University (BQ2017020, BQ2017021).